Things to do in Vienna January 2019. January is a quiet tourism season (except for ball travellers). This means more space for you and the locals. Watch the New Year’s Concert for free, roam the new Koloman Moser (Wiener Werkstätte) exhibition, join a Vienna ball, or do some ice skating. Things to do in Vienna January 2019. 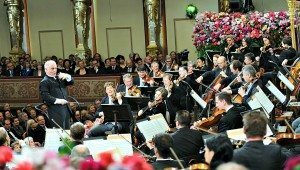 The New Year’s Concert by the Vienna Philharmonic Orchestra is Vienna’s top cultural export. 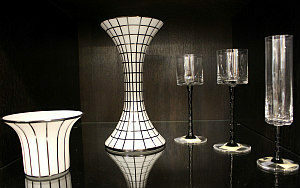 It is also the ultimate glamour treat for any lover of classical music. Tickets: Chances to get regular tickets drawn through ballots are 1 percent. If you really dream about attending the New Year’s concert and were not successful, consider a serious third party ticket seller. Alternatively, watch the free live streaming of the New Year’s Concert outside the Vienna State Opera along Karntner Strasse. There will be limited seats available. Wrap up warmly. Things to do in Vienna January 2019. Some say he is the first ever graphic designer. What’s for sure is if you like 20th century design there is no way around Koloman Moser: More a universal artist, he revolutionised everyday life by bringing aesthetics into the home: from paintings, beautifully patterned fabrics and ceramics to glass and furniture. Commemorating his death 100 years ago, the Museum for Applied Arts will showcase his best works. Things to do in Vienna January 2019. New Year’s Day is quiet in Vienna. But not everything is bordered up after the midday New Year’s concert. 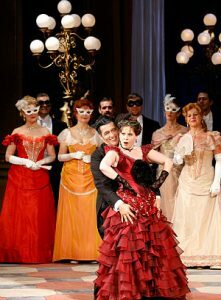 If you have missed Johann Strauss’ most loved operetta Die Fledermaus (‘The Bat’) the night before you can usually enjoy it in the first few days of the new year. Essentially, the operetta portrays 19th century Vienna with its waltz tunes, merry songs and beautiful costumes. Luckily, at both the Vienna State Opera and Volksoper you will follow brilliant English surtitles, so no guessing game. Things to do in Vienna January 2019. With the seasonal hustle and bustle gone, roaming market and artisan food stalls becomes attractive again. A local group of professional foodie guides regularly take small groups on a highly praised tasting tour across Naschmarkt. 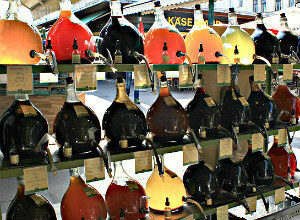 Since this market collects food from Austria and specifically the Balkans, you will smell, bite and sip your way through Central and South Eastern Europe. Find out more about this fun and insightful tour. Things to do in Vienna January 2019. To feel the buzz of our dynamic coffee culture, head for – a brewery. During three days, coffee lovers and professionals from Vienna and all over the world will show and tell, and taste, at the Ottakringer brewery’s event halls. Explore Vienna’s trendy new coffee scene, learn the tricks of great coffee making from a world class barista, and participate in an interactive coffee workshop. Things to do in Vienna January 2019. 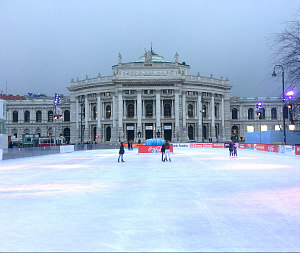 The Vienna Ice Dream (Wiener Eistraum) skating rink is placed right in front of Vienna’s Rathaus. For me, the city hall ice skating rink is the best skating venue in Vienna. Because it is so centrally located, you can continue your sightseeing while skating as you are surrounded by the neogothic City Hall, Ringstrasse boulevard and the Burgtheater, and the University of Vienna. I’m sharing our family’s skating experience there in Ice Skating Vienna. Things to do in Vienna January 2018. Curling has a long tradition in Austria and is a fun winter pastime. This year, Vienna’s leisure boat Badeschiff will let you curl right in its on-deck swimming pool. The pool is 25 metres long and will have two curling lanes. Another lane is available on the shore. 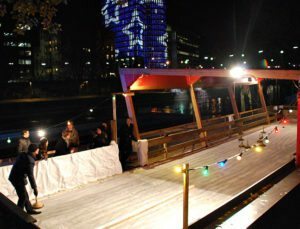 The upper deck hosts punch and mulled wine booths with a view across the Danube Canal. Bookings: lanes can be booked for 30 min between noon and 4.00 pm (EUR 25) and between 4.00 pm and 10.00 pm (EUR 45). Call 0043 660 312 47 03 to book or use the online form (German only). Things to do in Vienna January 2019. I won’t lie about average temperatures in January. On certain days, when I walk for more than one hour, I use my mental coffeehouse map to find the best places to warm up over a Melange or tea. 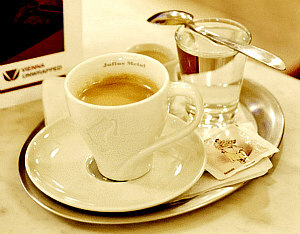 Even better, some coffee specialities include shots of delicious liqueurs to help fight wintery chills. 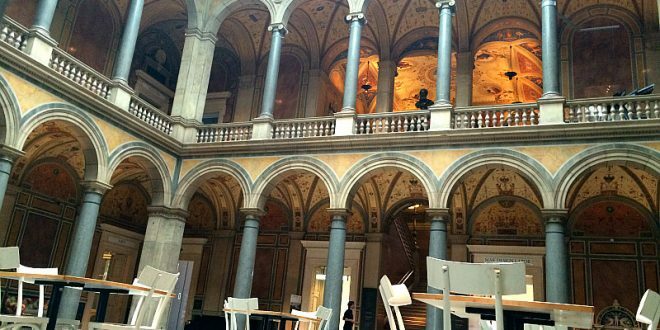 You can access my list of favourite Vienna coffeehouses to integrate a few warm stopovers in your itinerary. Things to do in Vienna January 2019. 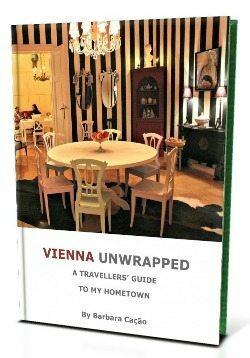 The Vienna Philharmonic Ball is my top Vienna travel tip for January. For me, it is the most beautiful and most authentic Vienna ball, taking place in the sumptuous halls of the Vienna Musikverein. 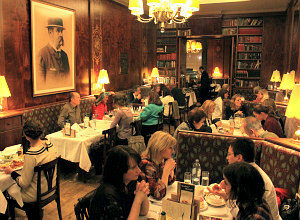 It is hardly found in mainstream Vienna event packages and considered an insider tip among Vienna travellers. 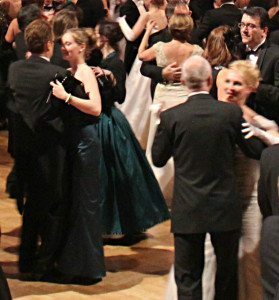 For further information, go to Vienna Philharmonic Ball. Other Vienna Balls in 2018/19. Things to do in Vienna January 2019. While the ball season is raging, take the opportunity to learn or freshen up your waltz dancing skills together with your other half. 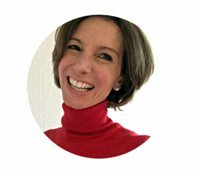 An English dance instructor will teach you the basic waltz steps to music of Vienna waltz kings Johann Strauss, Josef Lanner and Michael Ziehrer in just one hour. The skills you learn there will take you through any wedding, dance tea or ball. Learn more about Viennese Waltz Dance Lessons. Things to do in Vienna January 2019. The Vienna State Opera calendar for January 2019 holds six of the best operas in store. It shouldn’t really matter which day you are free to go if you love the tunes of Rossini (The Barber of Seville), Mozart (Don Giovanni), Wagner (The Valkyrie, Siegfried, Gotterdammerung), Puccini (Tosca, Der Mantel) or Verdi (Falstaff, La Traviata). Book tickets. As for Vienna concerts, I would likely go for Vivaldi’s Four Season’s at baroque church St. Charles Borromeo (Karlskirche). Vivaldi lived his last year in Vienna, and is actually buried underneath the Technical University a few meters from Karlskirche.